The snow stopped and the sun came out, approaching Monument Valley on a stormy morning one January. 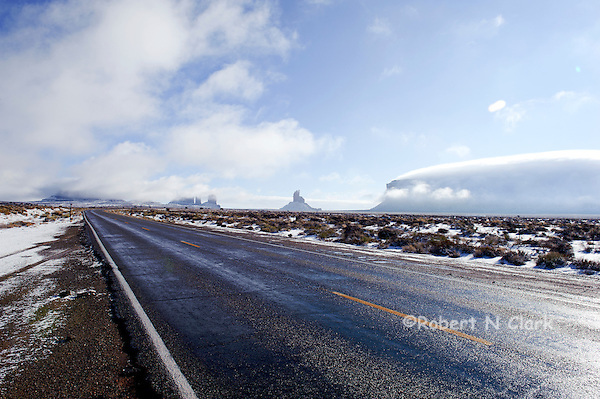 This entry was posted in Landscape and tagged Monument Valley, road, road trip, scenery, snow, winter by Bob Clark. Bookmark the permalink.